Sometimes it’s the small things that make all of the difference. 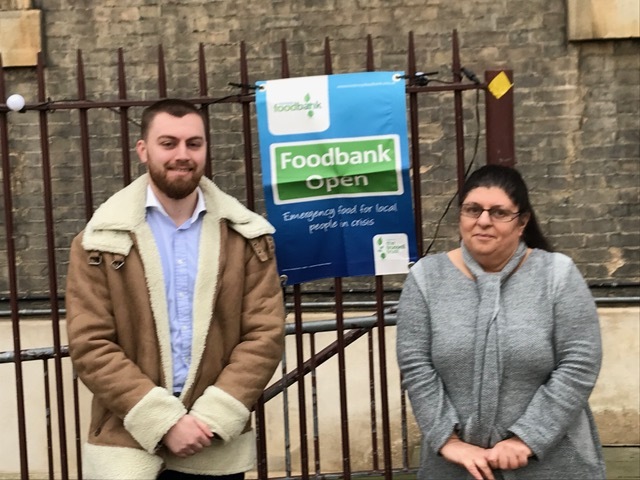 Our Finsbury Circus project team led by Chris Marshall, Ryan Wager and Darryl Dillon, decided to do a good deed for the local community and set up a site food bank scheme on behalf of the Hoxton Food Bank Centre in Hackney. Figures from The Trussell Trust’s food bank network show that “658,048 emergency supplies were provided to people in crisis between April and September 2018, a 13% increase on the same period in 2017.” As food banks are becoming more prevalent in today’s society, the team felt it would be a good initiative to run on site and went about making it happen. To obtain buy-in from the wider team, they held talks with site supervisors and contractors, where the intentions of the initiative were set out and donations requested. The team constructed a site collection point which highlighted the reasons behind the scheme and the type of food and sundries that the Hoxton Food Bank Centre required. Over £200 worth of food was collected over an eight-week period; from tins of corned beef and peaches to washing up liquid, shampoo and shower gel. Once the items were collected the team arranged to visit the Hoxton Food Bank Centre and deliver the goods. Well done to Chris, Ryan and Darryl for ‘thinking out of the box’ and setting up this worthwhile initiative to support the local community.